Training horses is not supposed to be stressful for them or for us. We only need to be smarter than they are to stay ahead of them. (If the reverse were true, they would be “riding” us, right?) Ideally, we use our bigger brains to make learning seem do-able and feel non-threatening to our horse. Here are the first 4 of 20 rules of thumb for “riding smart” that I’ve accumulated over the years. You can’t train a horse that’s hurting, so rule out physical pain first. Whenever your horse is being stubbornly resistant, make sure it’s not because he’s in pain. Is he not stopping well? His hocks may be sore. Resisting a spin? His suspensory ligaments (the structures supporting the back of the lower leg) may be sore, or he may have bumped his knees together, making them tender. Tossing his head? His teeth may need floating. Always check with the appropriate expert—a veterinarian, chiropractor, or equine dentist—to rule out a physical problem whenever you hit a roadblock. Only after you get the green light should you push through in your training. I have my horses checked regularly by my vet to head off problems—I don’t wait until a horse gets sore and starts resisting. Maximize every moment. 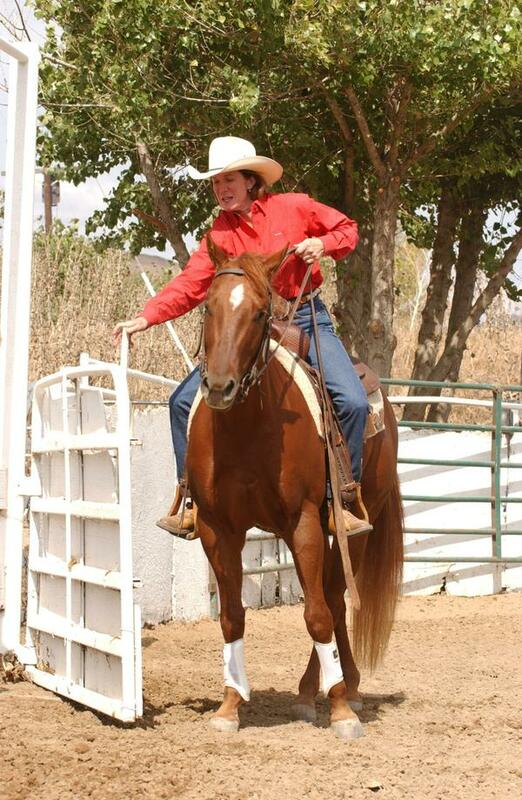 Whenever you’re with your horse, you’re either training or untraining him. If you’re picking out his feet and he won’t move away from your pressure—that’s setting an “I’m the boss” precedent in his mind. Instead, take the time to set his priorities straight by insisting that he move over obediently when you need him to. If you’re riding him through a gate and he won’t move laterally off your leg, school him until he does, rather than making a big reach for the gate. If you’re going down the trail on a pleasant morning and he’s pulling on the bit, don’t think, “Oh, it doesn’t matter now.” It does! If you make him do things only half of the times that you ask, you’re lying to him the other half! You’re asking him to figure out if you mean it or not, and then scolding him if he makes the wrong choice. All these seemingly insignificant moments add up to a lot of good training; don’t waste them. Set him up to succeed. A horse must understand and accept an idea before it can become his own, and only then can you train him how you want him to do it. Another way to think of this is that you must “show him” until he understands it and craves doing it, and only then “train him” how you want him to do it. It’s a subtle, but important distinction. And only when he understands all the rules of how you want him to do it, can you go on to ask for speed. If you push for speed while he’s still floundering, he’ll come to resent what you’re trying to teach him, or at the very least become badly rattled. So, use your aids in a way that enables your horse to “find” what you want, rather than forcing him to do your bidding. Yes, hauling on the reins is one way to get a horse stopped. But how much better to lope him until he’s a bit tired, so that when you pick up your reins, he wants to stop. Help him figure it out by making what you want easy, and give him time to , then reward him when he does the right thing. Your horse must have confidence in you, that if he needs a moment to think something through, you’re not going to get all over him for it. Once he’s figured out the what, only then can you start teaching him the how—using our stopping example, once he wants to stop, then ask him to get his hind end up under him as he stops, stay off the bit, stop straight and rock back a step, and so on. Think back to your school years…did you learn more from the teacher who rushed you, then bullied and humiliated you for a wrong answer? Or from the teacher who set you up to find the right answer, then told you how clever you were when you got it? If you help your horse—instead of hammer on him—when he’s confused, he’ll start to think of you as a friend he can look to for guidance when the going gets rough. I’ve attached pictures of getting your horse into position to open and close a gate. Patiently, make him get exactly where you need him to be rather than making a hasty reach for the gate. Then, let him rest there. Pretty soon, that’s exactly where he’ll go. 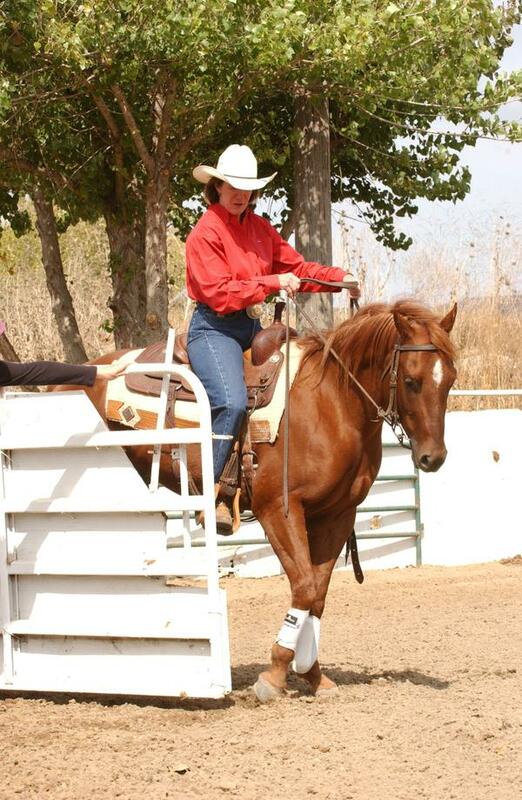 If you need 2 hands on the reins in the beginning, ask a friend to help move the gate slowly, while you position your horse to open and close it.